Alex and I struggled sticking to a budget during our journey of becoming debt free, and we still struggle today. However, the key to changing our spending habits was using cash. Using a cash envelope system ultimately led to our success of becoming debt free (read our story here). 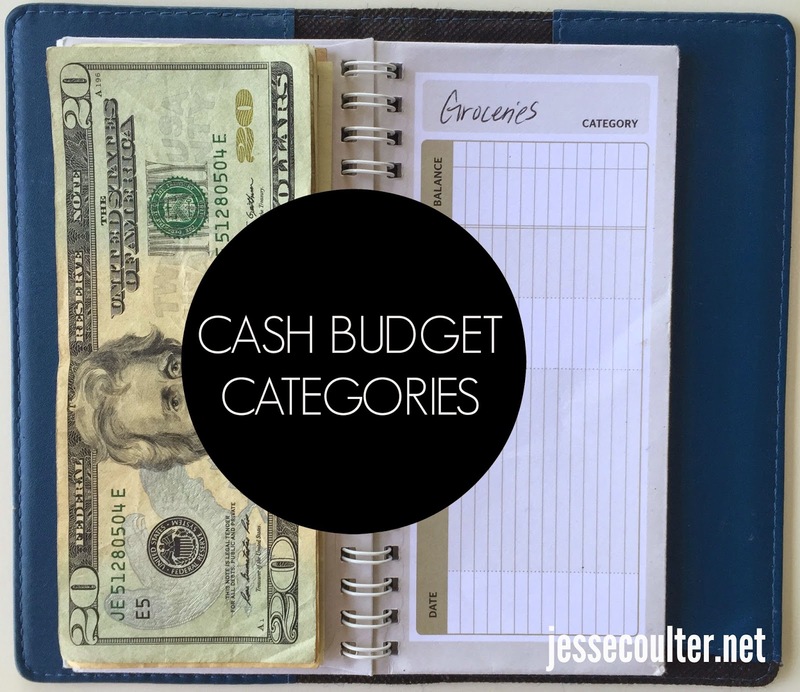 I'd love to share with you my tips and what categories of spending we use cash for. Prior to budgeting we were spending $700 a month on eating out. We dropped our budget drastically to $40 - $50 a week. We definitely have to rethink those quick trips for take-out, or nice dinners that could easily cost more than our week's budget. We feel special if we get to order tea or a beer with our dinner. My husband has the tendency to become a world renown chef when he enters the grocery store....let's cook Lobster, steak, cordon bleu....to which I reply "Ummm, wait a minute! We don't have the money for that!" My thoughts when I go shopping are usually, "Put down those extra bags of chips and expensive cheese...stick to the cash budget. You don't want to have to put stuff back as you're checking out." Sticking to cash forces you to think practical when it comes to groceries. This is basically my category. In the past if I wanted a pair of shoes that weren't too crazy expensive, I would buy them. Now, if I only have $30 in my envelope, and the shoes are $60...well, I have to wait till another paycheck to get them. Talk about cutting your trips to the mall in half. The best part about this category is that I never feel guilty about buying clothes. If I come home with a arm full of shopping bags, I don't worry about strutting in the house with all my goodies. I can confidently say to Alex that I budgeted for all of it. Alex is much more pleasant about me shopping as well, because he knows I'm not going to go overboard and spend money we don't have. Probably my favorite category. If you love home decor as much as I do, then you'll need this category (I'm talking to you Target ladies). This cash envelope keeps my random spending at Target to a minimum. I can't tell you how many times I've cringed as I walked away from some item in Target that I was obsessed with but didn't have the cash for. If I really wanted it I would have to save up for it. We also use this envelope for home maintenance (gardening, cleaning supplies, etc.). This category would be for going to the movies, date night, having a beer with friends, etc. This one is annoying. I really dislike having to go in to the store to pay for my gas, but it's nice handing over the cash and being done with it. Christmas sneaks up on most people. This envelope allows that not to happen. Plan out at the beginning of the year how much it will cost for Christmas (your ENTIRE budget of spending...stockings, family presents, co-worker gifts, etc. ), then divide that by 12. That amount is how much a month you'll need to save to afford Christmas. When Christmas comes, you will feel AMAZING knowing you paid cash for everything! Using this system allowed me to save over $500 for Alex's Christmas present, which I would have never done hadn't I saved cash. You forget last minute about your parent's birthday, or your work is having a going away party for a co-worker that you need to donate money to. This category will make giving so much easier! Sudden trip to the doctor because your kid has the flu, $50 flu prescription, and every type of remedy you can find to help your child feel better....thank you medical envelope. This category is for hair cuts, makeup, hair products, etc. I don't get my nails/toes done ever, but if you do, this would be a great place to budget for that. Maybe you need a massage every month to relax your super tight back from working in a cubicle all day...this is a great category to budget. Dang you oil changes. They always sneak up on me. Oh, and the dreadful statement "Ma'am you need new tires". WHAT? You don't have $800 lying around to spend on new tires? You can bet that this day will come...more times than you want, and having that cash will make your day SO much better! We probably would never go on any vacations without this category. Vacations are a priority in our home, but it can be very easy to forget about saving for them. Alex and I like to have a trip in mind, and then set a goal of when we want to go on it and how much we will need. Then we divide it up by months and begin saving. We are going to Hawaii this June, and we have been saving for months. I love the feeling of going on vacation and not worrying about coming home to a credit card bill. You can see the envelope system I use below...pretty simple. You can get this exact one here for $14. I usually got a lot of looks and questions when I whip this thing out in a store, but it's a great opportunity to help others and share why I think it's important to budget. Now, we don't have every category of spending in an envelope, but these are ones that we like to be held accountable to. Every payday we head to the bank, and take out the exact amount of cash for each one of these categories. We then take that money and separate it in to individual labeled envelopes. I can say that using the cash envelope system has been life changing. It has transformed my spending habits, and ultimately how I think about money. I'm not saying that it is easy, but it is worth it. Carrying around cash is much harder than carrying around a debit card. If you lose a card, well, you can just cancel it. I'm much more mindful of my wallet, and where I take my money. What ways do you budget? 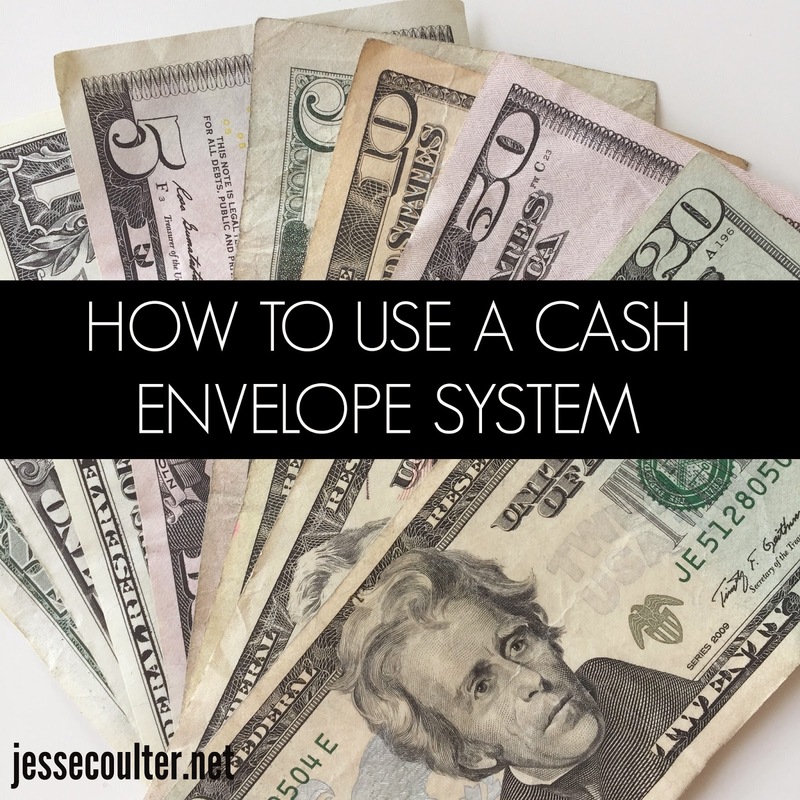 Do you use a cash envelope system? If you liked this post, please let me know. 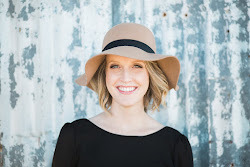 I'd be happy to share more with you about our spending, budgeting and saving. This is a great idea! My dad was always a "Cash Man" and wish most people got it the way you do. I use envelopes and budgets for many things. Proud of you sweet girl!! I aspire to this and yet am so fearful at the same time! Thanks Andrea! It does feel weird to pay with cash sometimes, seeing how I used to use a card all the time. Thanks Maria! Girl, you got this. Start with just a few categories...and go from there! My hubby and I were just discussing this. I think we need to do it - or at least for the 'fun money' category. I even think that alone would be a huge help... Going to talk to him about it more. Good to see how it plays out in practice and the organizer you use! I like this a lot. I especially like this concept of budgeting Christmas from the beginning of the year. Very cool, I'm going to have to think about doing this! A fun money category is a GREAT place to start! Thanks Chrystina! It definitely decreases stress around the holiday, and makes shopping even more fun! I LOVED THIS! I have been month after month debating and trying to do this cash method whilst not actually taking out cash. it has not worked as lovely as I had hoped. But your dedication has inspired me! Will be going to the ATM and leaving my cards at home for the rest of the month! I am determined to have the amount of money I WANT to have in Italy!!!!!! !